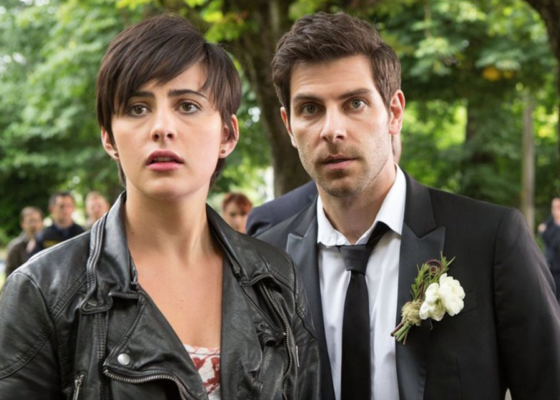 “This is no fairytale; the stories are real.” NBC has released new previews for the upcoming sixth and final season of Grimm. The supernatural drama stars David Giuntoli, Russell Hornsby, Silas Weir Mitchell, Reggie Lee, Sasha Roiz, Bree Turner, and Claire Coffee. The final season of Grimm debuts on January 6th. What do you think? Do you watch Grimm? What do you hope happens in the final season? Grimm: Season Six Writing Begins, When Will It Air? I feel like the time has really come to say goodbye to Grimm. you are so right. this show could have gone 10 seasons easy., with a little more action, in season 5, this show lost 1 million viewers in the 5th season.!! what were this writers thinking.?? another wasted show due to bad writing.!! PS WRITERS. YOU HAVE A PRISON FULL OF VERY BAD WESEN,!! TRY AND ANSWER THAT.?? AH JUST LET THEM EAT THE GUARDS.?? I have watched Grimm from its beginning, and really enjoy it unworldly creatures and their malice for mankind! I find it hard to believe that NBC would dare to end such a popular series seeing as you continue to air and support so many lemons! I would fully support the continuation of the series and maybe a made for TV movie. The cast and crew are fantastic along with the special effects and stunts.